When the pan-generational film Forever Young <无问西东> was released on January 12, online critics did not give the film a favorable review. Many websites that provide film reviews, such as Douban, Maoyan, and Taoban, gave the film a poor rating, and one-star reviews among users were near universal. Forever Young is a drama film written and directed by Li Fangfang (李芳芳), and has a story spans four generations in China, starting with the end of World War II in the late 1940’s. 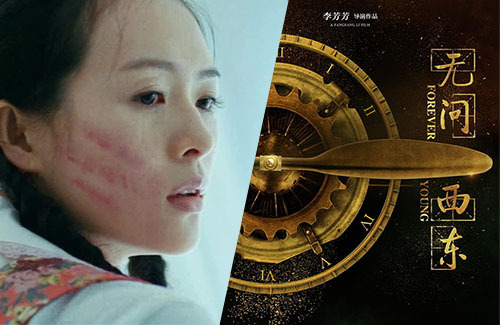 It stars Zhang Ziyi (章子怡), Chang Chen (張震), Huang Xiaoming (黄晓明), Leehom Wang (王力宏), and Chen Chusheng (陈楚生) in lead roles, and was made in celebration of Tsinghua University’s 100th anniversary. The film was originally slated for a release date in 2014. Faye Wong (王菲) lended her voice for the film’s theme song. Despite its initial poor online reviews, the film had a historic bounce back mediocrity. Thanks to good word-of-mouth and supportive movie-goers, Forever Young sneaked up from being the month’s worst movie to the month’s best. Within 48 hours of the film’s release, Douban ratings went from 6.2 to 7.4, an increase never seen before. Some reviewers said they took their grandparents to watch the film with them, exclaiming that they’ve never come across a film where the story could resonate with all generations of their family. Many critics were upset and confused at the initial “smear campaign” against the film, which alerted industry officials. Some critics blamed the bad reviews on the “navy” (水军), a slang term referring to individuals or companies that pay other people to slander competitors. In terms of box office, Forever Young grossed 50 million yuan on its second day of release, a 35 percent increase from the first day. It ultimately grossed 85 million yuan after two days.